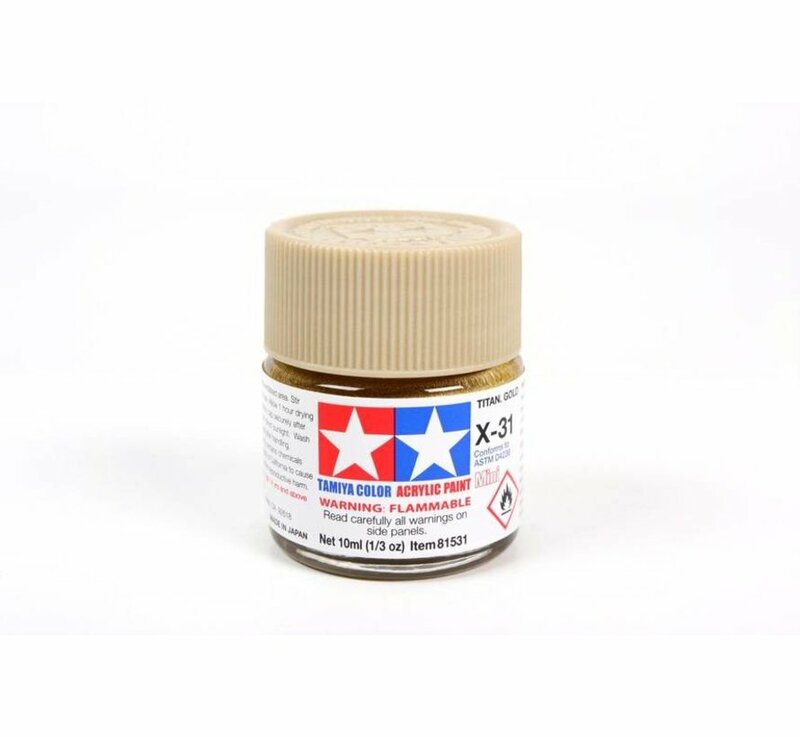 This is a 10ml Jar of Tamiya Color Acrylic Paint (XF-31 Titanium Gold). FEATURES: Made from water-soluble acrylic resins and excellent for either brush or spray painting. Can be used on styrol resins, styrofoam, wood, plus all of the common model plastics. Covers well, flows smoothly with no blushing or fading, and can be blended easily. Glass jar with a plastic, color coded, screw-on lid. 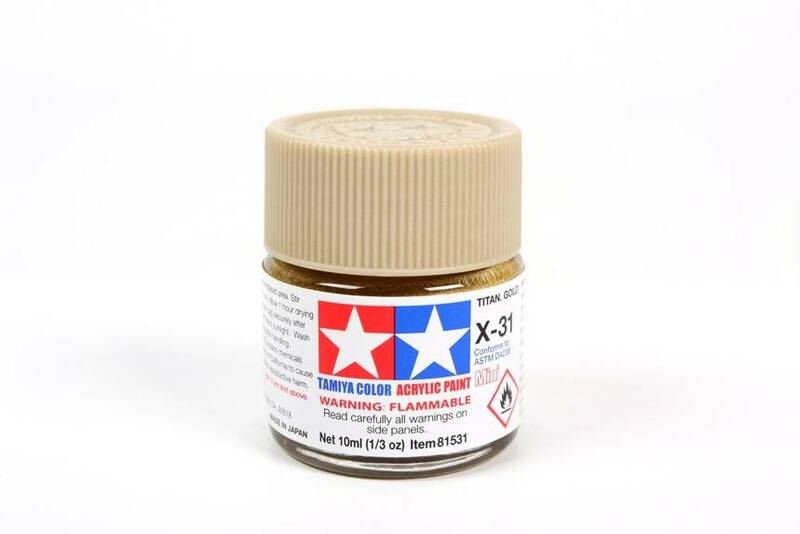 Paint number XF-31 on the Tamiya Color Chart. 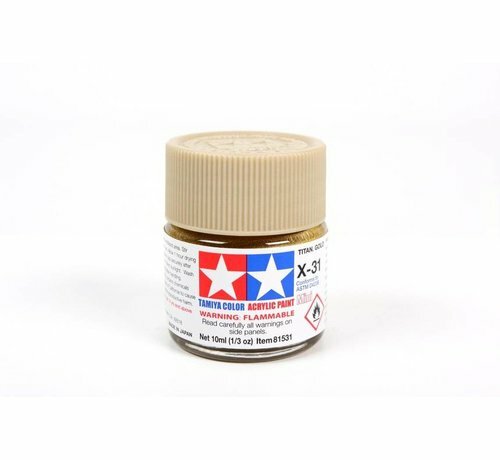 INCLUDES: One Jar of Acrylic Paint (XF-31 Titanium Gold).